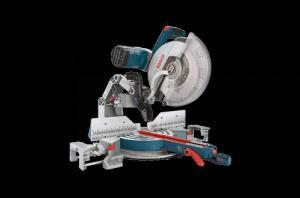 This is a high-precision professional mitre saw. It has bevel and mitre controls at the front for ease of use and safety. Please read the manual before using. It is tied to the saw cabinet. Product details and online manual can be found on the manufacturers web site. Read and understand all safety and warning labels. Make sure to support your work using the table extensions or a support stand.